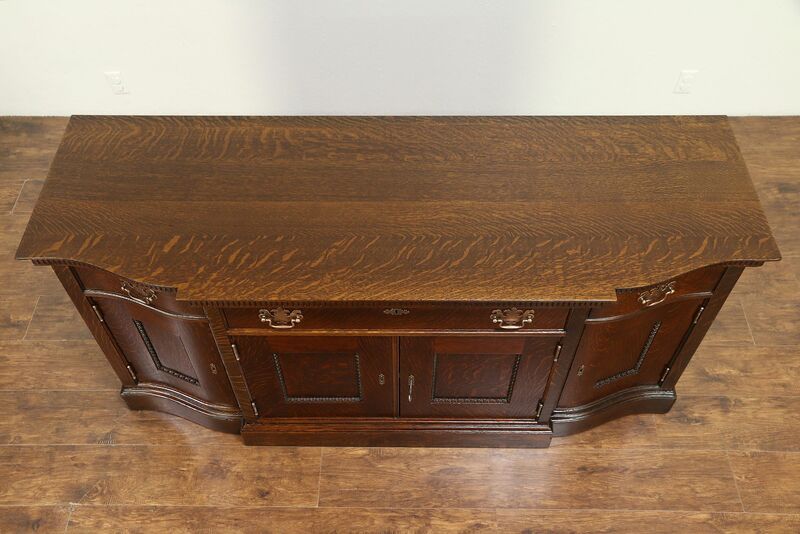 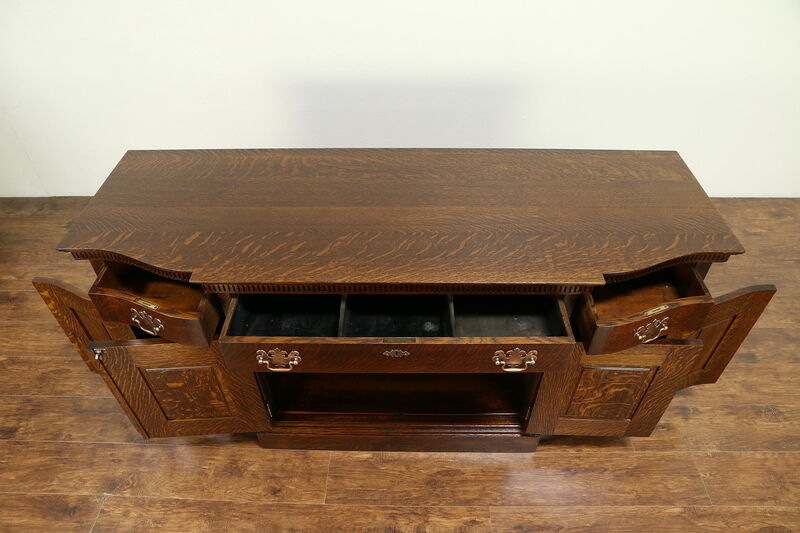 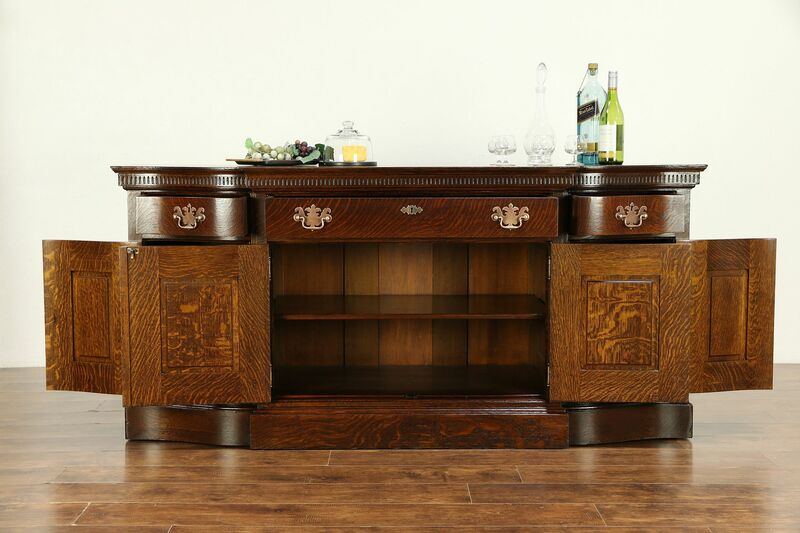 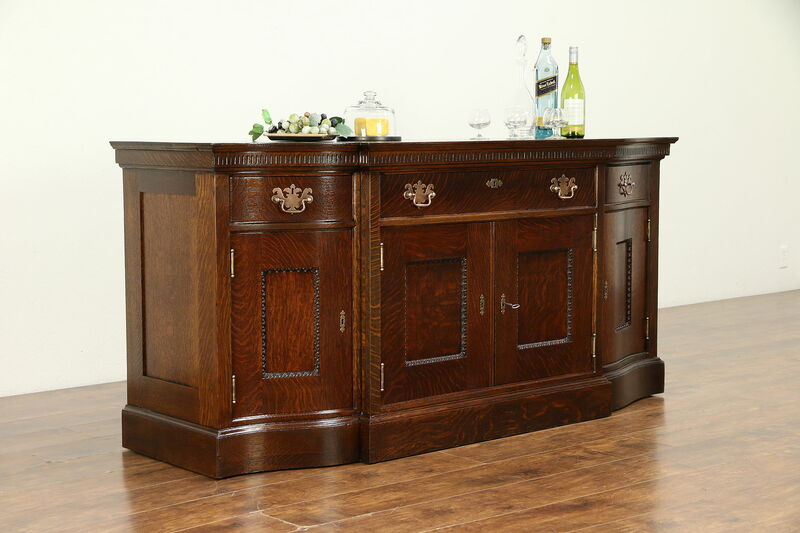 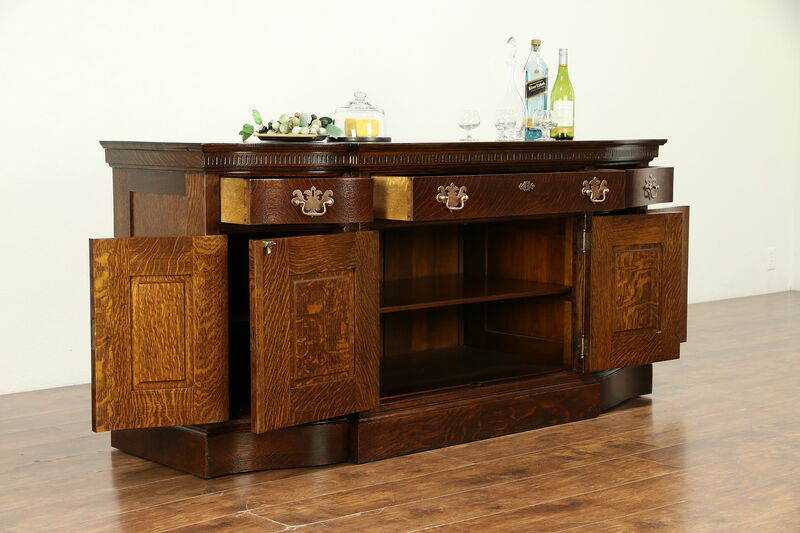 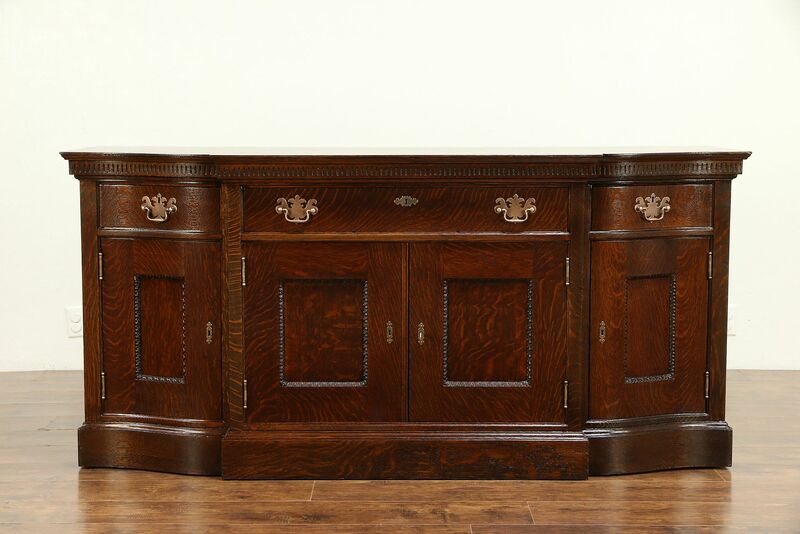 A solid quarter sawn oak sideboard, server, buffet or back bar from about 1890 has original bronze hardware. 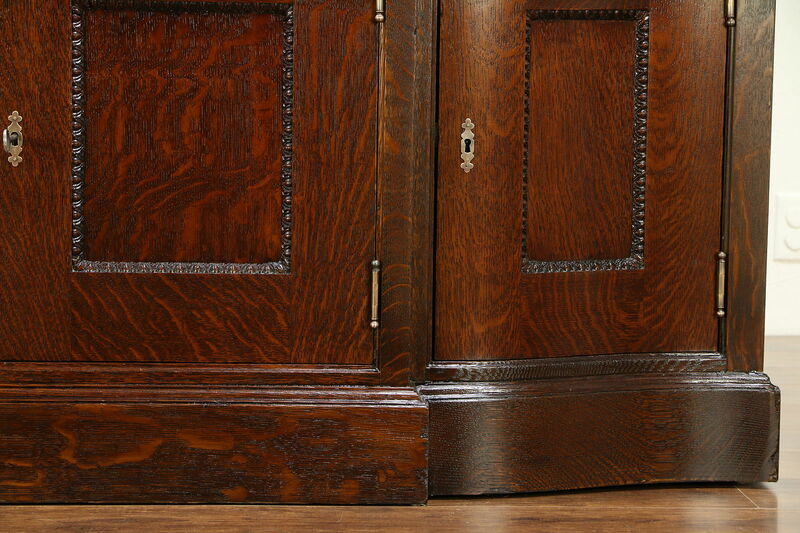 Curved doors and drawers are beautiful. 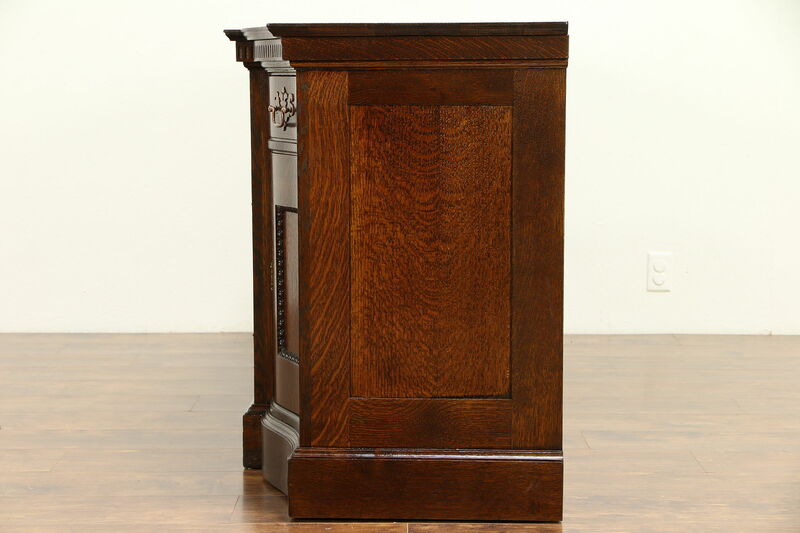 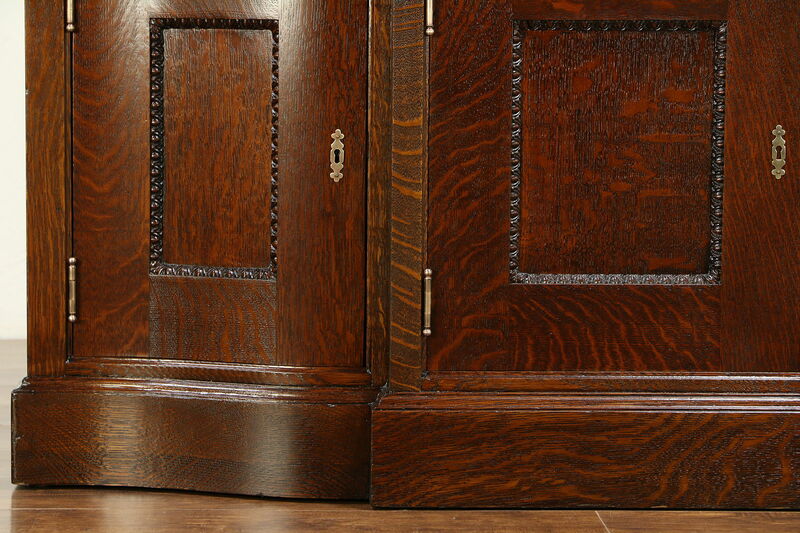 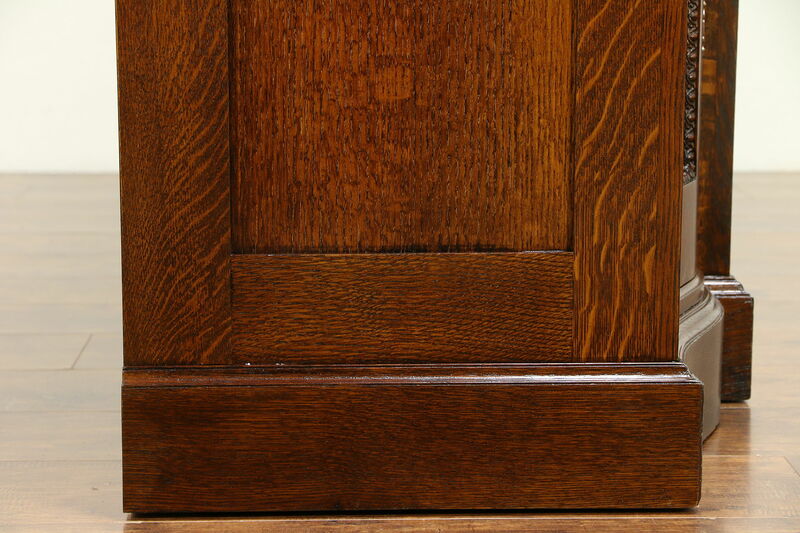 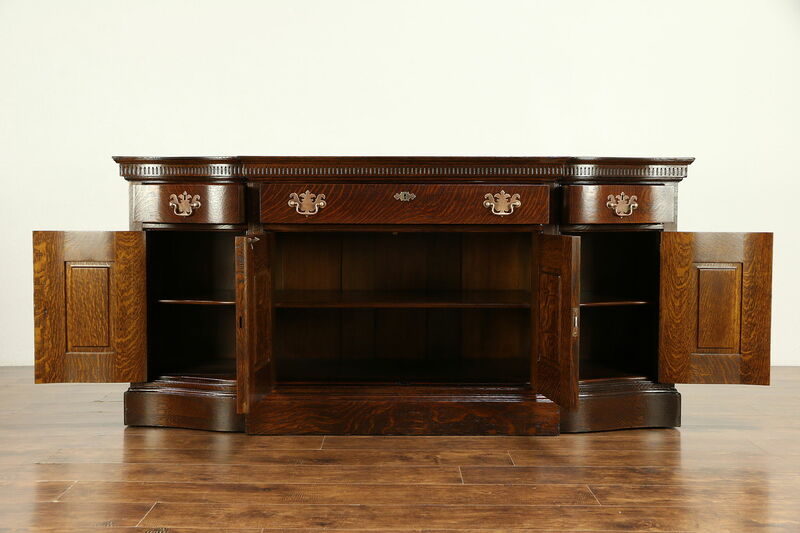 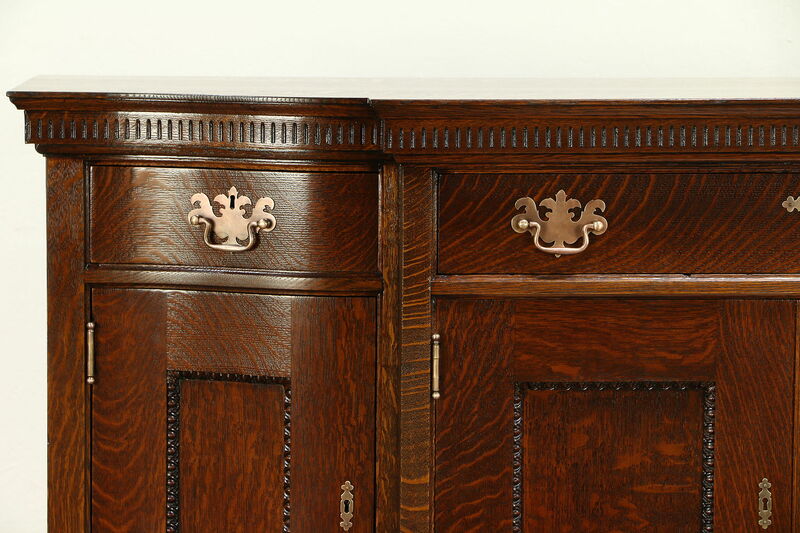 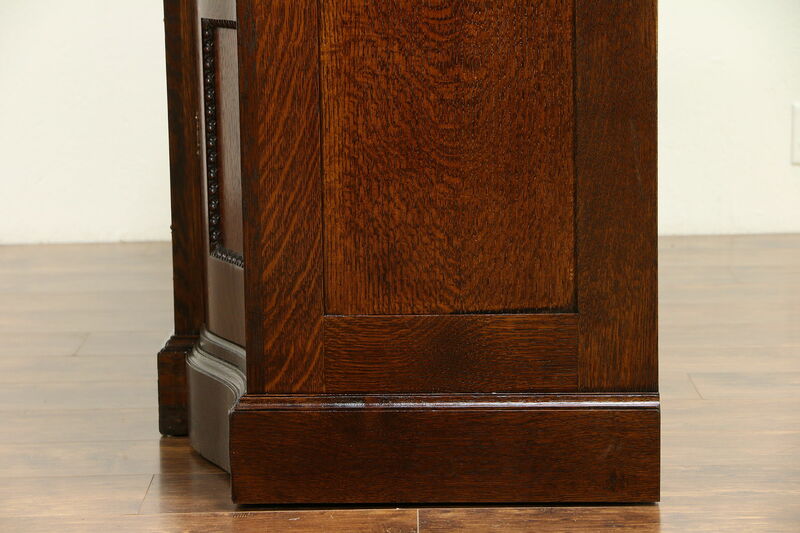 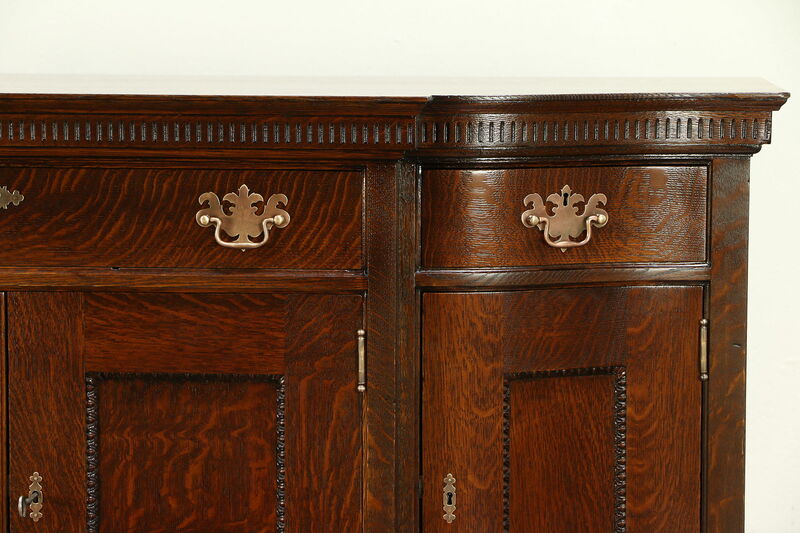 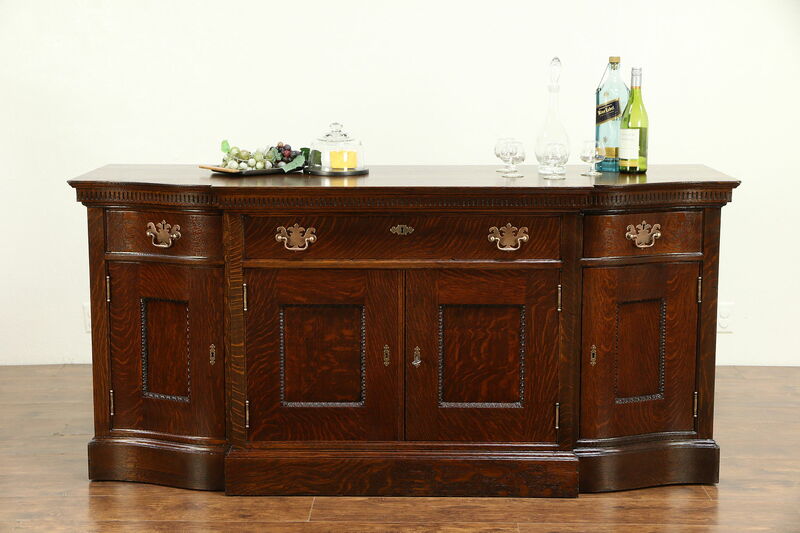 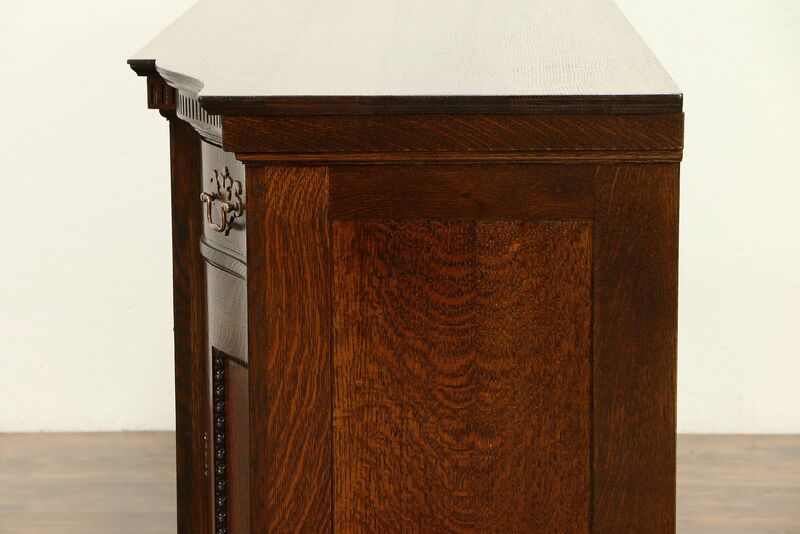 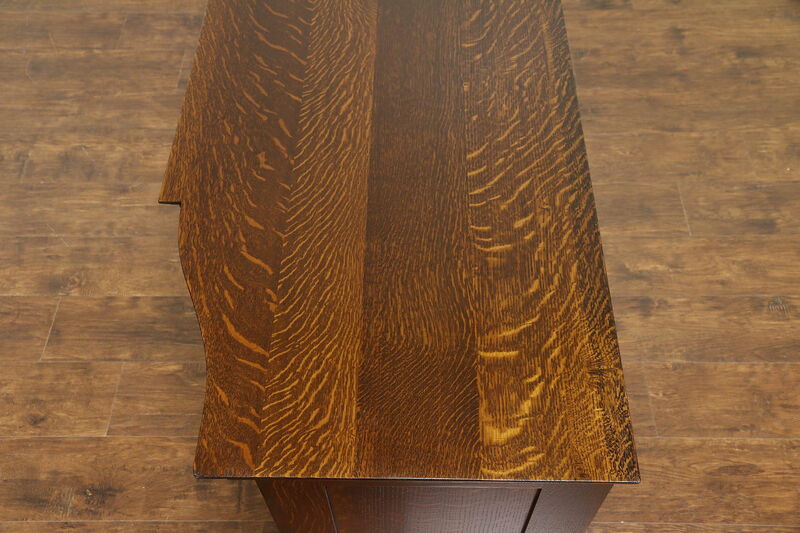 The restored deep finish is in excellent condition on this American made antique furniture. 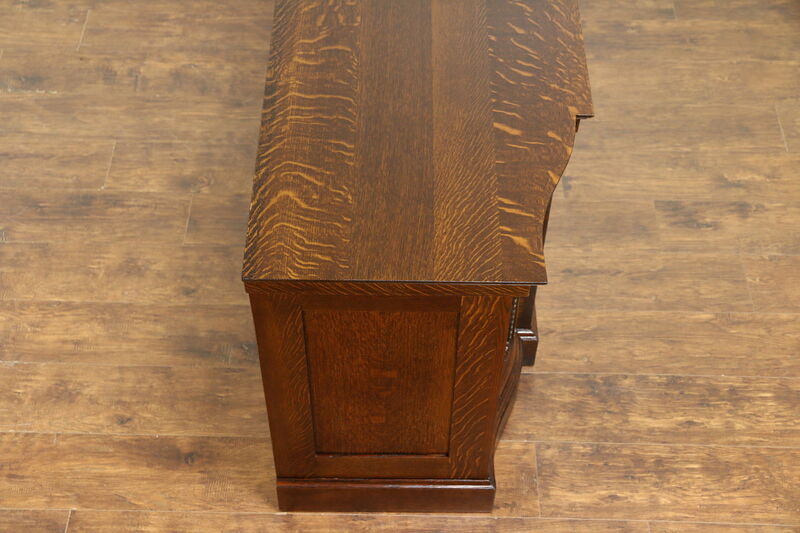 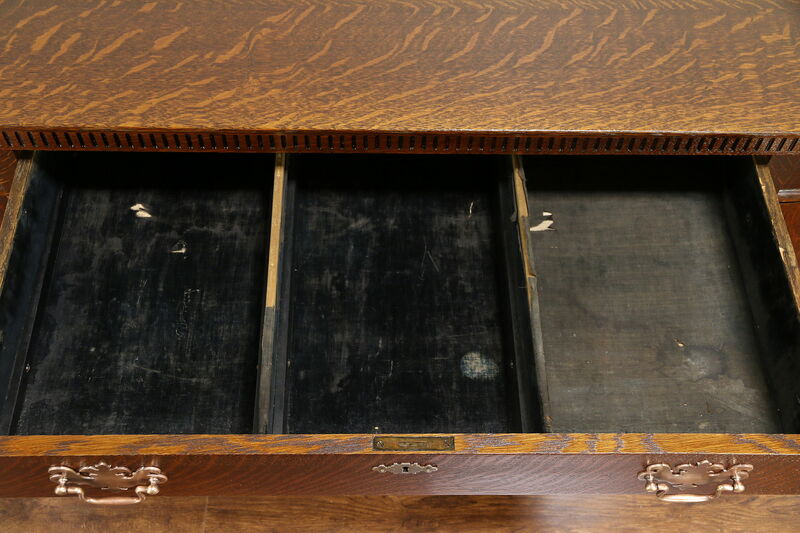 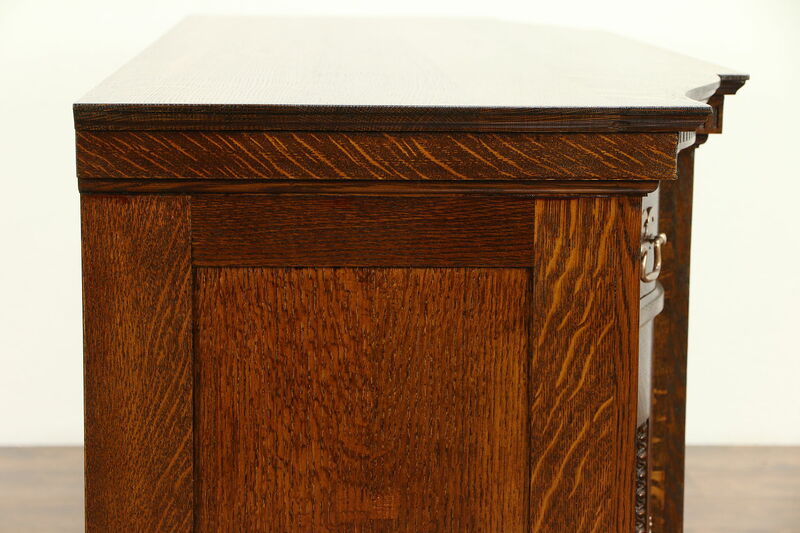 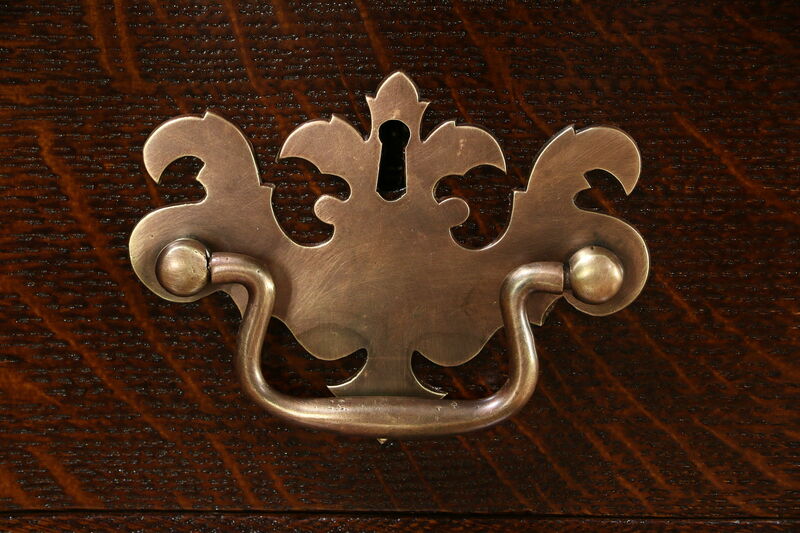 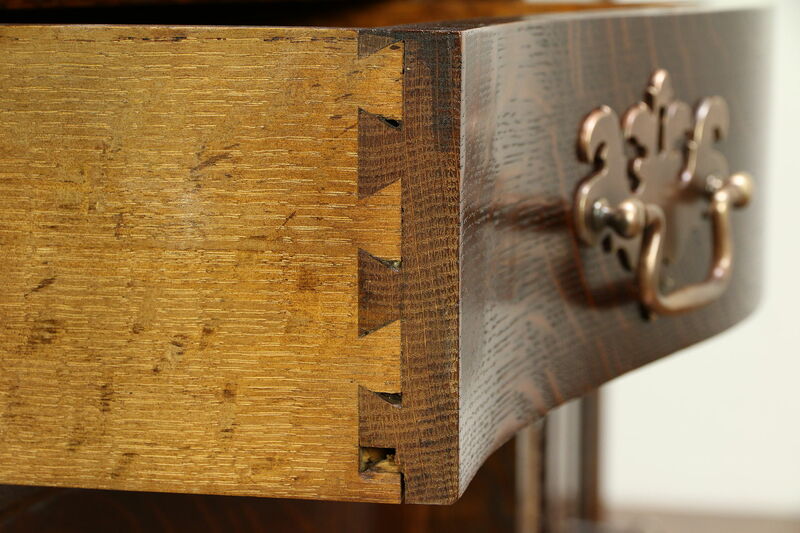 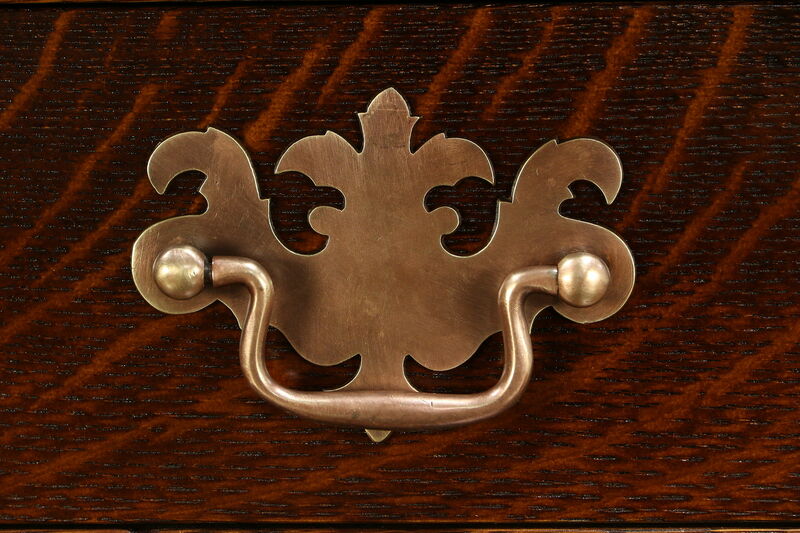 Drawers have solid oak sides with dovetail joints, the silver drawer has old velvet lining. 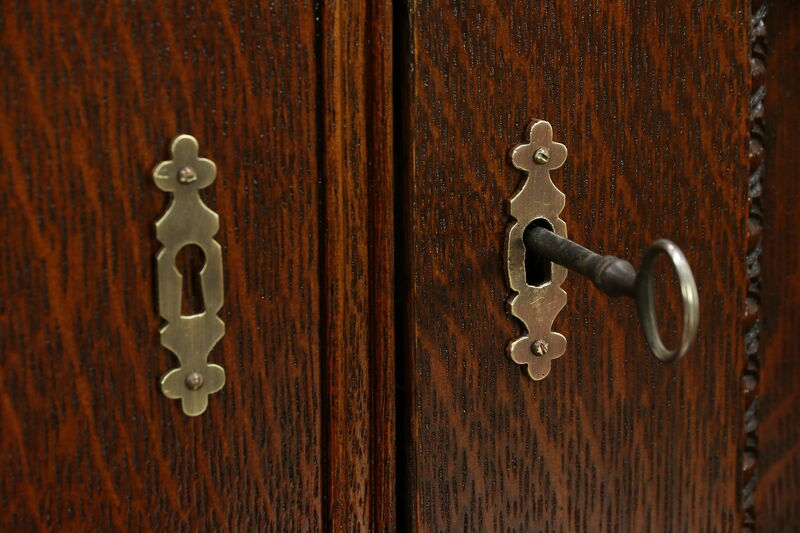 Doors have working locks and a key. 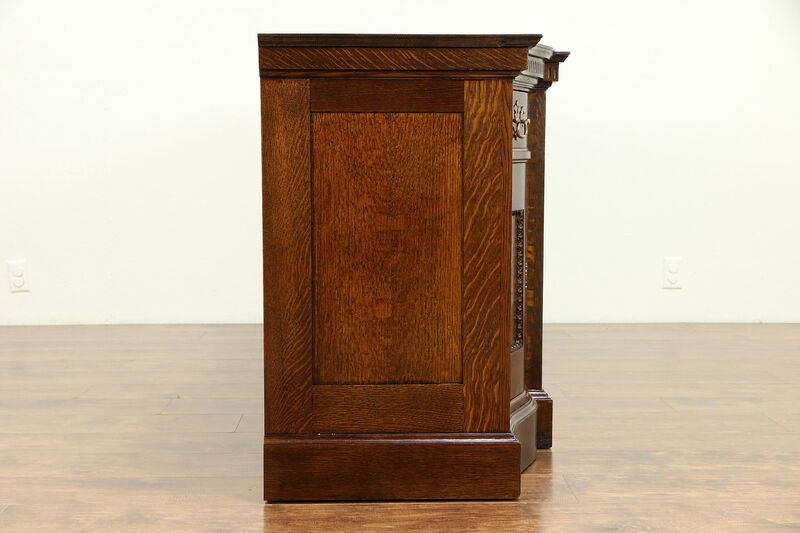 Dimensions are 6' long, 24 1/2" deep and 34" tall.